After many exciting experiences and the first Utoothia adventure, the little brushing hero finally triumphed against the Crobies and the mean ogre Plaksta. Plaksta is a mean human-eating monster, whose aim is to rule over the people of Utoothia. However, thanks to the little brushing hero, the tooth fairy now reigns happily over Utoothia. Unfortunately the people are still a little bit weak after the first big adventure, so the little brushing hero has to collect new healthy teeth-stars to strengthen the people of Utoothia. The special teeth-stars that hang in Utoothia’s sky are healthy white milk teeth, that fell out of children’s mouths when they grew older. The tooth fairy looks after the milk teeth of Utoothia and always collects them when they fall out. When it’s time for the milk teeth fall out, the tooth fairy consoles the children and the white healthy milk teeth move to the sky of Utoothia and become teeth-stars. Now, because Plaksta, the mean orgre, is on his way to steal the teeth-stars, the little brushing hero has a new mission. It is very important that the hero beats Plaksta and collects the teeth-stars first. In his cave, far away from Utoothia, he is coming up with a new scary plan. He is still furious about the loss of the battle for the Tooth Fairy’s magical teeth. His new plan is to weaken the dental health and the strength of the people and of the Tooth Fairy. To manage this, he needs to steal the healthy flying teeth-stars before the little brushing hero collects them. The Tooth Fairy sends the hero a new colourful flying machine to travel in. 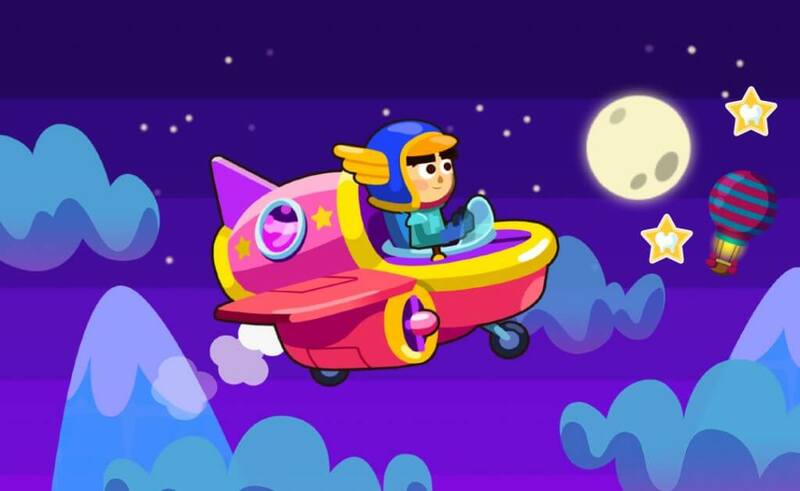 With the flying machine, he can collect the flying teeth-stars easily. The little brushing hero can now get ready for take-off with the shiny and sparkling helmet and colourful flying machine.